Back with another, and far from stating contemporary norms, we've got a selection of tracks by Crossfrontier Audio newcomer Nhar that will blow you away, or perhaps, burn you to ashes? Whatever the result, he's certainly no newcomer to the game, and Nhar knows how to set things off. Drudging away from phone emoticons, and more into the deeper shades of blue, vibrant greens and long burning embers, Nhar's second release on CFA is the Green Flame EP, 3 scorching all new works he's melded together late-night, chasing the warmth and glow he's hammered down into these tracks, and my what a release it is. 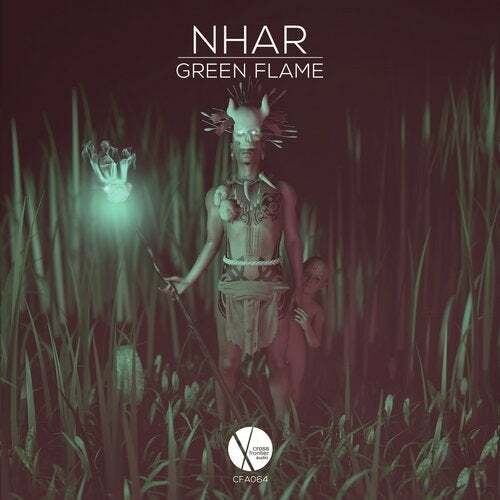 Having recently debuted on the label earlier this year, Nhar's cuts have proven to be special moments when we've taken them to dance-floors, his Deltavox EP was a smash, and the Green Flame is no different... from the uplifting traces of euphoric deep house to the darker frequencies of techno. Sure enough, whether you chose to drop Green, Blue or Distant, each ensues it's own energy, and breeds it's own results, you've got the highs, the lows, the danger blows and the secret woes, all wrapped in a tight little EP you can sneak into sets, pour into aux cables, trickle into headphones or blast out while you're ironing for what we care... as long as you enjoy the vibes, and maybe have a little head nod going on.